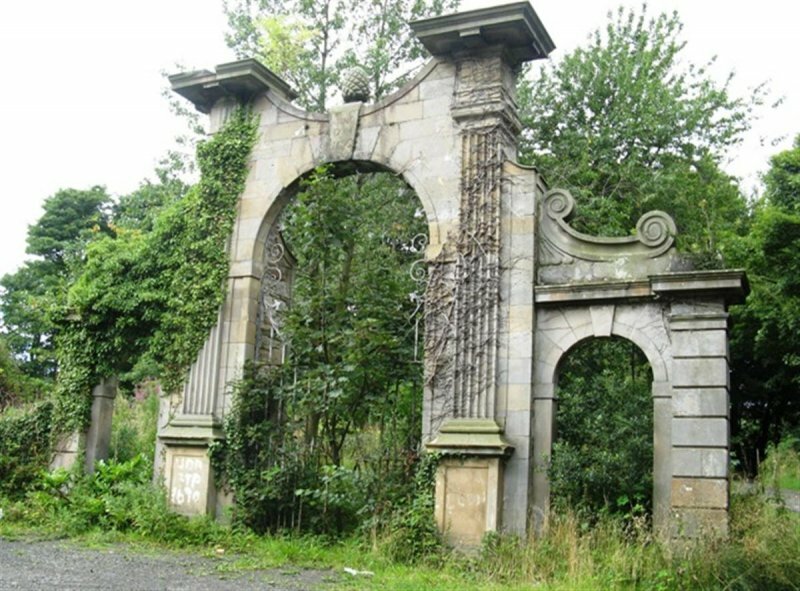 Ashlar tripartite gateway to the former Hatton House (now demolished). Tall round- headed vehicular arch at centre set between fluted Roman Doric pilasters on panelled pedestals and entablatures with heavy cornices; inverted arch between pilasters reflecting arch proper. 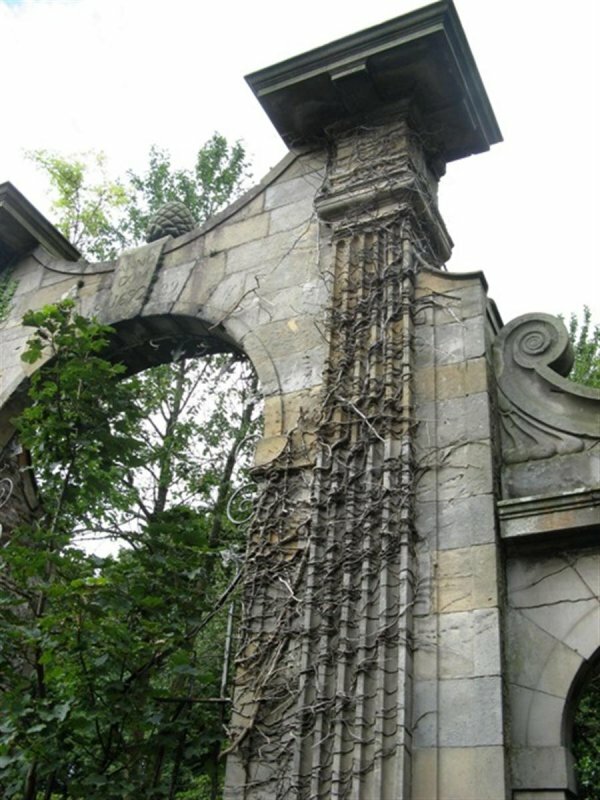 Scrolls over flanking lower, keystoned pedestrian archways. 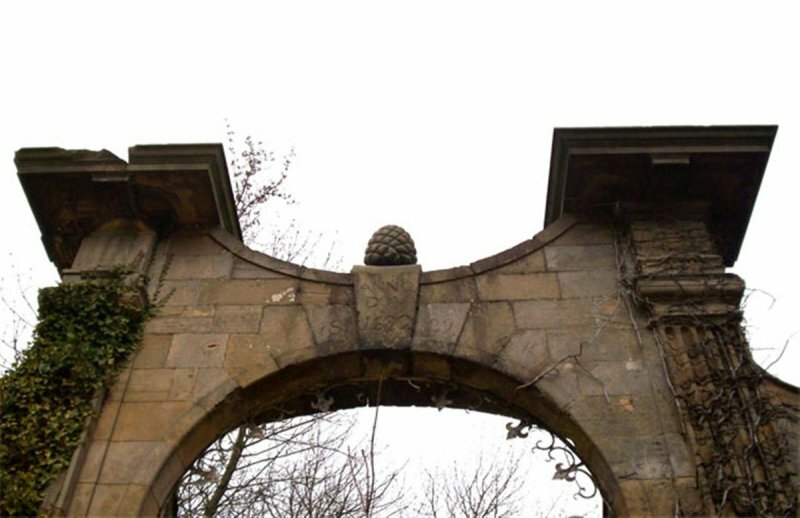 Keystone over centre arch inscribed ANNO DOM 1629-1829, it bears a tablet-sundial on rear side; acorn finial above. 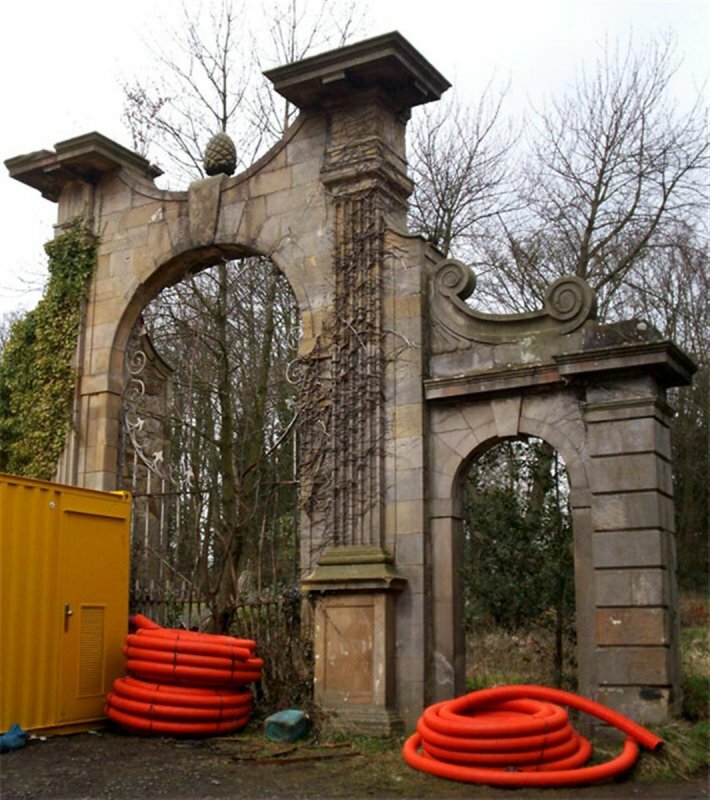 Gateway terminated by channelled piers with deep cornices. Rubble buttreses at rear. 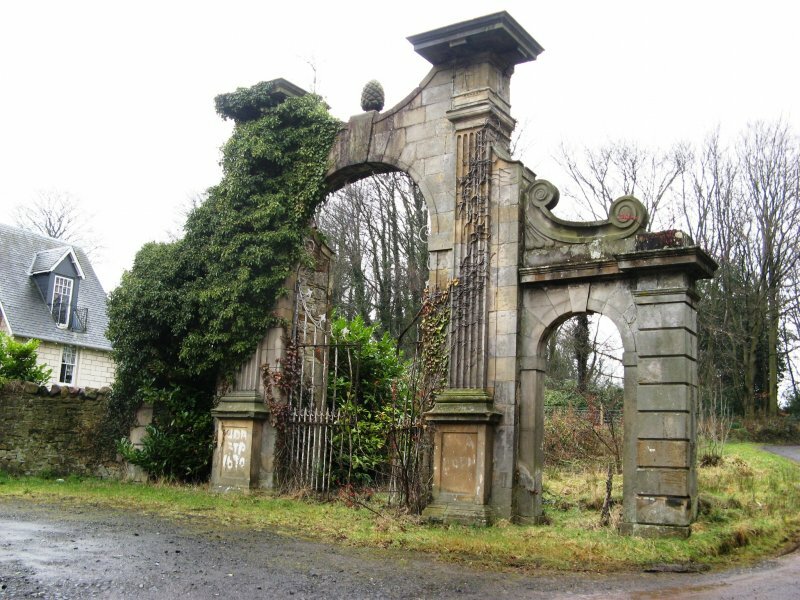 2-leaf iron gates to central arch in poor condition curved below arch to create circular opening. 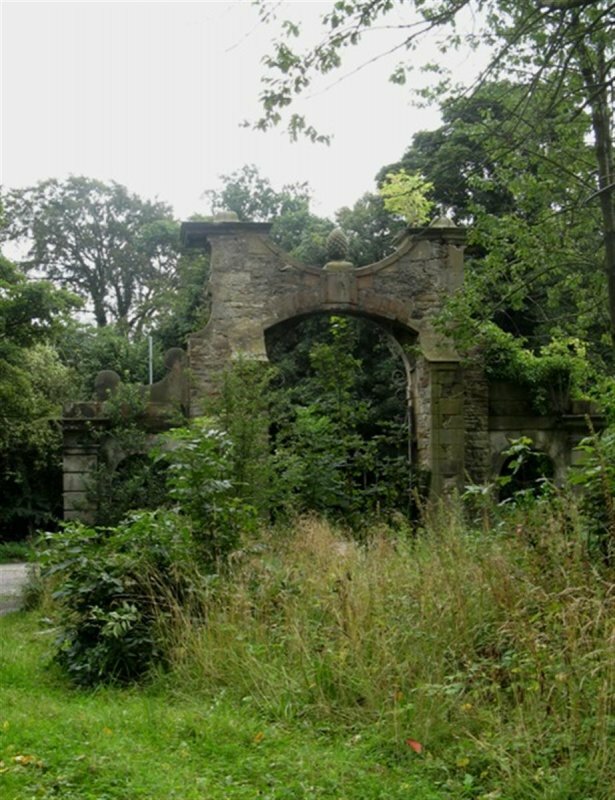 Hatton House itself was demolished in 1955, following a fire in 1952. 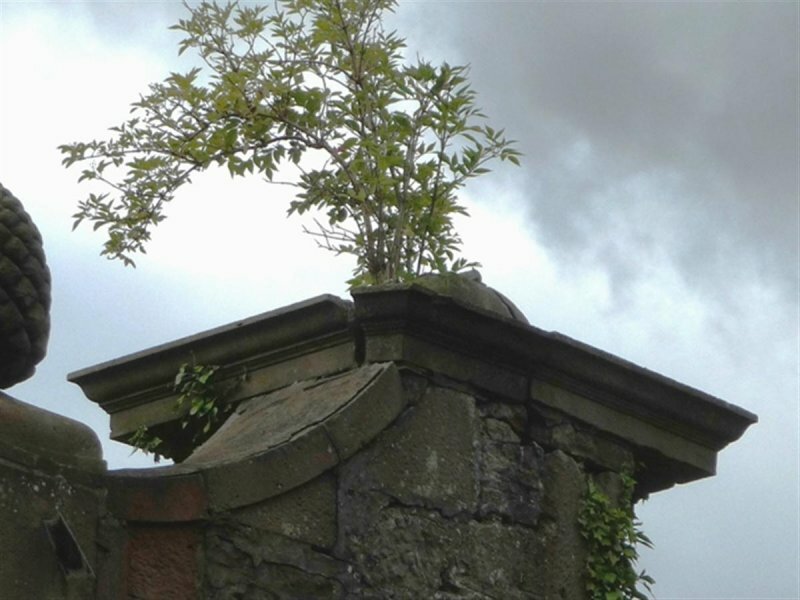 April 2008: Inspection finds the stonework to be chipped in multiple places and overgrown with ivy. 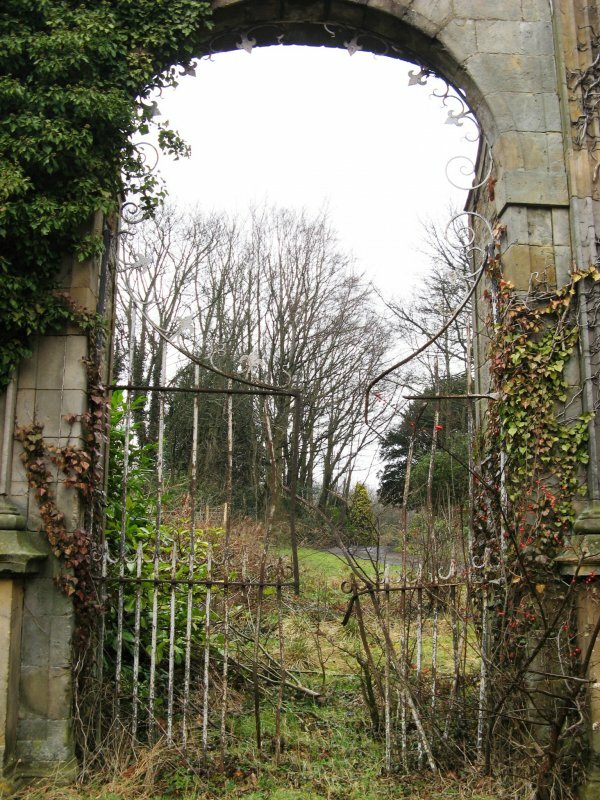 The gates are buckled and are rusting. 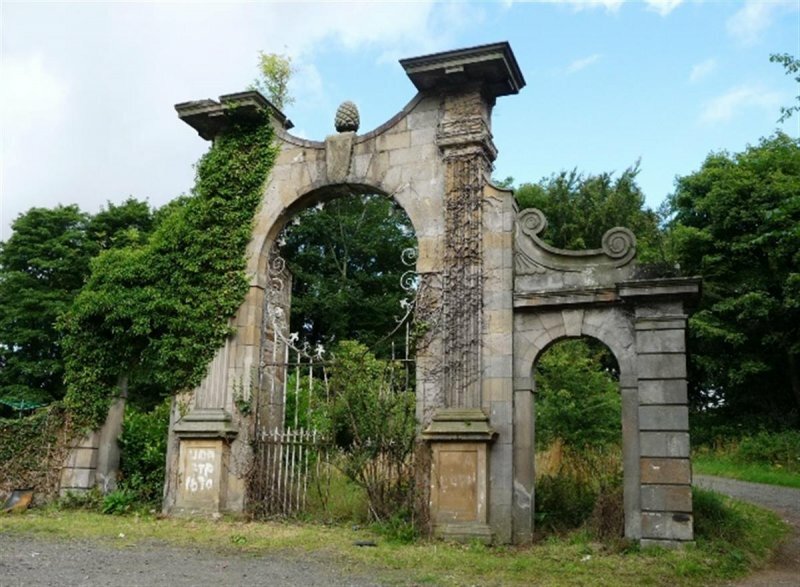 August 2010: Listed building consent and full planning permission for a new Hatton House has been lodged with Edinburgh City Council. 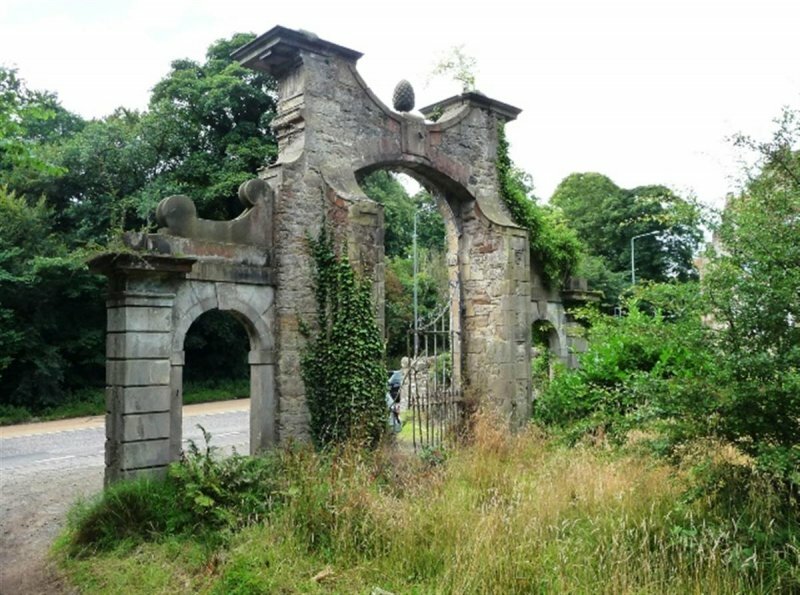 The application seeks to retain and repair the garden terrace (also on the Register) but it is not thought to include repairs for the Gateway. 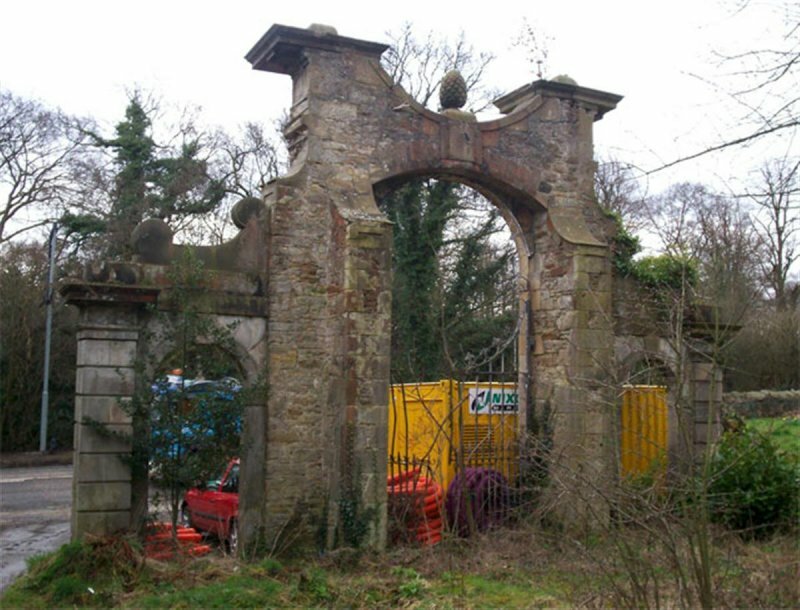 16 March 2015: Inspection finds the structure remains in much the same condition as seen previously.